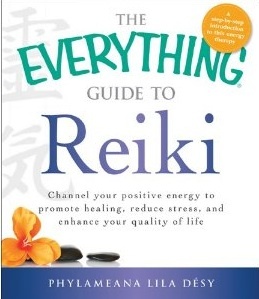 Just in time for the holidays, my new book, The Everything Guide to Reiki, is now available. When the publishers set January 2012 as the release date I was hoping it would come out a bit early in time for the holidays, and I got my wish. 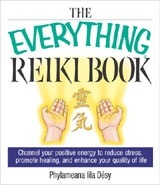 It is a revised edition of an earlier book, The Everything Reiki Book with a new cover, new chapters added with new information, many updates, and a revamped resource section in the appendices section. The layout and Reiki-treatment images in the new book are the same as the original… so you can expect ease of reading digestible bits of Reiki information. All of the books in the Everything Series include a comprehensive index and glossary, I think this is a big plus for instructional texts like my book.